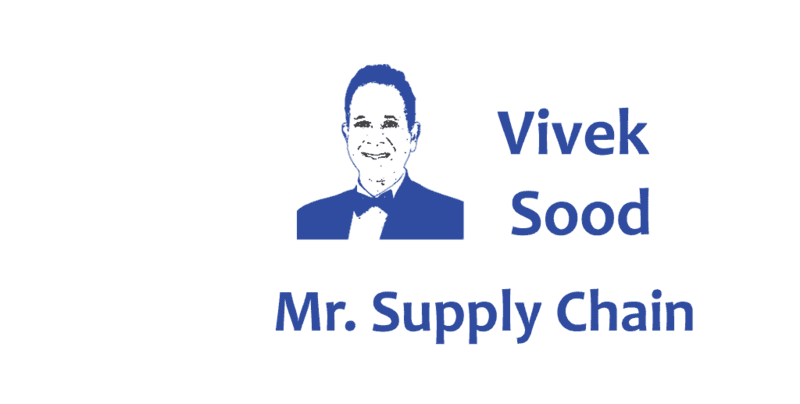 Vivek is an established leader and a professional in supply chain management. His books are easy to read and understand as they are based on Vivek's valuable and rich practical experience, ability to transform strategies into real action plans and are also written in a friendly manner. His new book on Outsourcing is to some extent related to the previous bestseller 'The 5-Star Business Network', but provides an in-depth analysis of the nowadays popular outsourcing concept in terms of not only whether to outsource or not, but also how to outsource in a profitable and a smart way. I am sure this book will be another bestseller. A true practitioners book, both for experienced 'outsourcers' and for those new to the subject. By using lots of practical examples, Vivek shows that just as today's business world is getting more and more complex every day, in outsourcing we see the same thing happening, which means that we also have to think about outsourcing in a more structured and sophisticated way than before. Outsourcing is not a black and white world, but full of many shades of grey. Because of this, Vivek has wisely opted for not pretending to have 'the' magical one-size-fits-all solution, but rather for providing a large number of useful practical questions, reflections and thoughts, bound together by an overall framework that will surely be of help in any given outsourcing context. Very recommended reading! In a world where the strength of competing global supply networks are determined by their weakest links, outsourcing became a critical business capability. We all have faced outsourcing decisions driven by cost saving targets, and experienced the resulting unsatisfactory business performance, hidden expenses and operational inefficiencies. This book from long-term industry expert, Vivek Sood, will show you the evolution of this exciting subject through the different lenses you need, and instruct you how to leverage your partners in co-creating your own business success! A book to apply as you learn. Chapter by chapter. Highly recommended. All we need to know about modern outsourcing challenges in one easy-to-read book. Vivek masterfully outlined the strategies and secrets to successful outsourcing in an engaging way and a well-structured narrative. I highly recommend outsourcing professionals to read this book. As a fast growing company in bio-sciences arena with a global supply chain we need to outsource a lot of our activity. This book is a breath of fresh air which handles outsourcing in a totally new way – with a strategic perspective. As a CEO, I encourage my staff to take strategic perspective to outsourcing. This book will help me do that even more. What I like about it this book is that anyone can understand it and the principles you describe without requiring a dictionary to look up all kinds of technical terms and acronyms that so many academics often get mired down in. This in my mind makes it a practical guide for both the novice and the experienced reader. One can easily extract a number of checklists that can be used during the various processes to ensure you don't forget something in your haste. Most people nowadays work under such pressure that they often unintentionally skip important steps. Also the reference to real life situations - both good and bad - not only gives one hope, but also reminds us that sometimes even the smartest guys in the room fail so we should get up dust ourselves off and try again. This practical, readable book addresses one of today’s most significant supply chain challenges: how to get the most from outsourcing. The book provides important insights to ensure more effective results. In an economic climate with increasing pressures on managing fixed costs, improving operational flexibility and creating freedom to focus on the core business, Outsourcing is an everyday reality. The key to success is thus to build a solid relationship with your service providers based on trust at all levels. Having been on both sides of this equation as a client and a business consultant, I know that this is easier said than done. This book is a step-by-step guide to how to do it well, and what to watch out for. In this book, Vivek very clearly details the methodology and strategic thinking necessary to achieve success and avoid the major pitfalls that claim so many outsourcing attempts. If I were launching a project today, reading this book would be a prerequisite for each member joining the team. It is now a part of my permanent library. EVP, Global Solutions, Tompkins International, Inc.
Business Process Outsourcing (BPO) is a well-established business practice around the world. Contract Services for Information Technology, Finance and Auditing, Human Resources, Manufacturing, and Logistics are the primary processes being outsourced to specialist firms. Doing it effectively and efficiently, and managing the performance and relationships with service providers, however, are not common. This book provides practical advice and guidelines for effective outsourcing. I recommend it for all business leaders. Want to know how a giant like Redbull became a raging success...then eaves drop on Redbull and hundreds of other household names as they outsmart and outprofit the competition by outsourcing. So if you want to build a smart phone or a super tanker you should read Vivek Sood’s new masterpiece on Outsourcing. I have been leading logistics outsourcing efforts for nearly 3 decades. This is the best book on outsourcing that makes sense and is practicable. Most books are either too tactical, or full of impractical models. This book has solid benefits for anyone involved in outsourcing. When Vivek asked me to review this book it took me more than a week to come up with a single paragraph. Why? I could not stop reading. I read it and then I read it again. It was that good and completely changed the way I look at outsourcing now. I went all the way from tapping in the dark to confidence. This is the ultimate cook book you have to follow whenever you think about outsourcing any kind of company activity. A very practical guide not only for framing the key decisions around outsourcing but also for implementing data-driven, manageable, and transparent solutions. Full of rich examples—of both good and bad outsourcing decisions—this text does a masterful job of infusing best practices with common sense and easy-to-use metrics for success. Every chief procurement officer should have a copy of this on his/her shelf! A very impressive and comprehensive collection of frameworks for the analysis and understanding of the outsourcing ecosystem as it has evolved over time. Applicable to businesses of all sizes. A must read for anyone without 20 years of battle scars in this space. Vivek’s book is well written, with sufficient new ideas and concepts, plus excellent depth for analyzing the broad, complex and challenging outsourcing topic, using various scenarios for proceeding forward. Through his vast knowledge and experience in this rapidly evolving industry, Vivek outlines ‘grey areas’, and also places emphasis on communicating values, plus what he identifies as the four stages of outsourcing. He also offers lots of valuable and pertinent information too. Outsourcing can be liberating, empowering, and a great way to build business with strategic partners. This book clearly defines each and everything in a focused and well versed pictorial presentation. It is one of the most comprehensive and well written book on outsourcing. A must read recommendable for all business. I am one of those in the Supply Chain industry have has swapped hats many times. I have outsourced and worked for outsourcing companies, local, regional and global - with success and failure. The successes have (broadly speaking & without specifically intending to) been as a result of following the tenet of this book. The failures have been also for the reasons the book outlines. While reading this book, I realized that it is the first time I have actually seen all the issues, pitfalls & benefits clearly spelled out in one place. The concise writing and clear messages will provide senior executives with the necessary ammunition to arm them in their outsourcing journey. This is a very insightful book about outsourcing that all practitioners should read. The authors have made it so interesting and valuable to learn from real life examples that can ring a bell for many companies nowadays. A leader’s most important ‘new’ skill is to know when to outsource and how to do it well. Outsourcing is one of the most important levers of leadership success and no company can do without it. Ad-hoc ways of outsourcing do not work – this books lays out a scientific and proven approach on how to outsource and answers the key questions. The book has numerous examples of what to do and what not to do to help you outsource successfully. Most people outsource. Yet, conundrum awaits many who are unable to distinguish between outsourcing and contracting. I found the book systematically explaining this distinction, methodical in demystifying the concept and a comprehensive read indeed! Examples were very pertinent & the anecdotal references from shipping were relevant and touched a personal chord. I trust this book will teach businesses to outsource better and I have recommended it to all my business colleagues who are involved in outsourcing. 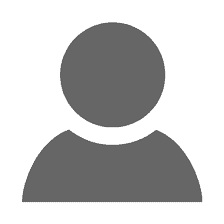 An excellent resource for anyone considering an outsourcing initiative. Not a dry academic lecture: Vivek has prepared a thoughtful, insightful, and above-all practical, guide through the process of creating a highly effective networks of results-focused businesses capable of delivering extraordinarily increased value. Overall, I found it interesting and inspirational to read. You’re a good story teller and whenever you have a story, it makes the book come really alive. You also bring a weight of practical experience to the table and make a good use of it. So congratulations! I have read a number of business books which focused a great deal on analyzing the successful companies and how to emulate what they do. But analyzing failures is at least as important. The book does an excellent job in filling this gap in the context of why, when and how to tackle outsourcing. Given the significant changes from globalisation and digitalisation we are experiencing across the world today, supply chains are being transformed dramatically to deal with such volatility. This new world of supply chain is now all about the establishment of ‘Value Networks’, with collaboration and partnerships at the center. This book captures extremely well many of the critical factors that will impact the success and/or failure of organisations worldwide. Having spent most of my career in supply chain management, initially as an executive working across the globe and now as an adviser to Boards and CEOs specifically on the importance of effective supply chain leadership, this book is a must read. It provides hugely valuable insights, both practical and conceptual, as outsourcing is such a critical factor of any organisation’s strategic future. After reading this book, what impress me most are the authors’ outside-the-box thinking: getting back to basics to revisit pros & cons, when & how to outsource by leveraging the innovative analytic model – 5-Star Business Networks which combines theory and practice. It lowers the water level of “the river of Outsourcing”, unveils the hidden rocks under the water (potential risks), and allows us to have an agile (outsmart), smooth (outprofit) voyage of outsourcing henceforth. A valuable guidebook for C-level executives to examine and rethink their current outsourcing strategies in this uncertain time. I have been impressed by the uncommon insights of powerful business network with fresh statement. The book is a carrier of the authors’ passion, intelligence, innovation and profession. Regardless of whether you are a businessman or an educator, I recommend it. I certainly will use this book in my activities. “Outsourcing 3.0” is simply an amazing work of knowledge and wisdom. The authors in their own inimitable style presented easy to follow and structured information sharing which in my opinion should be very handy for most of the current lot of CEOs. The most important element in this work by Vivek and Mamta is that – they are highly pragmatic and didn’t add any extra frills (which is normally tagged to such informative writing). Here is a work which does straight talk and explains the need to Outsource through which you will Outsmart others in the similar business and Out profit which is the most important element for the stake holders. I particularly enjoyed his narration and sample coverage on real life examples. I believe this book will not only be a hand book for CEOs it will also be helpful for aspiring C level community and management students. Take it from somebody who is still counting the losses from an outsourcing program gone wrong. If you are considering out sourcing, have decided, or are currently involved in an outsourcing project this book is for you. The authors take you on a journey based on fact, research and firsthand experience. This book eloquently illustrates the perils and rewards of outsourcing as never before. He defines the good, the bad and ugly of outsourcing in simple to understand terms. Moreover, diligent use of the 5-Star Business Networks will yield your organization improved profits, reduced cost and measurable results. If you are looking for a practical set of guidelines that will help you decide when to outsource, when not to and how to do it well you will find it in Vivek’s book. Most organisations cannot do everything themselves and have to bring in external suppliers to handle selected processes. The outsourcing to suppliers is a critical decision; after all, it can easily be that “you are only as good as your suppliers”. As has been noted, the future is not just about competing companies, but is more about competing supply chains; so the correct outsourcing of any of the supply chain processes, provides organisations with a competitive advantage. This book will therefore be especially valuable for leaders to guide and assist them in making the correct outsourcing decisions. This is an outstanding book and one which is highly recommended for serious business players. It provides a step by step guide on why and how to outsource, carefully articulating the operational and commercial benefits. The strength of the book lies in giving a well-rounded and in depth discussion on concepts, materials and models. The book takes a pragmatic view using numerous case studies as examples to demonstrate the value of outsourcing and how not to make basic mistakes. The authors recognize the advantages of outsourcing but has gone beyond that to consider Macro Economics, Globalization and Transformation putting outsourcing into context. They also provide clear messages, armed with all the facts, and how to design your own model that works for you. Some compelling reading! With Outsourcing 3.0, the authors provide a practical guide to successfully navigate the dynamics of outsourcing. Whether you're a novice or a seasoned sourcing veteran, you will find nuggets of information that will be useful for years to come. This is one of best books that I studied on Outsourcing, in this book Vivek covered all areas of outsourcing in a well-structured and strategic ways. I want to recommend every CXO who wants to be a CEO in near future. In a global competitive arena, outsourcing is the single most important factor to increase company bottom line. I want to give full marks to Vivek for written such a wonderful and much needed book on outsourcing. This book should be read by EVERYONE considering outsourcing, no matter how experienced they are or how trivial the outsourced function/service is. Vivek challenges the reader to THINK. Often times we are infatuated by the solution or the cost savings and we forget the detail that is imperative to a successful outsourcing engagement. This book should be a REQUIREMENT for all executives who PUSH outsourcing in their organization. You may think it is easy and everyone understands your intent, but they don’t. As a former partner at Accenture and Booz Allen I have seen and created outsourcing deals of every shape and form imaginable. Outsourcing is now so ubiquitous that most people even do not realize how embedded it has become in the business world. This book has a lot of insight and practical wisdom on outsourcing that the readers will find useful in their day-to-day lives. If even a single idea from this book can make your outsourcing arrangement successful for both parties you'll be a huge fan of Vivek Sood! After reading this book the first striking point is that the authors have not started with a hypothesis and gone ahead with lining up studies and arguments to prove it. There has been painstaking effort to delve deep into the whole subject of outsourcing, explain each concept thoroughly. Another very refreshing feature of this book is that it is free of value judgments, which make it very suitable for practical business applications. The commendable canvas of examples cited helps one understand and appreciate the scholastic erudition and extensive experience of the authors. I would heartily recommend this book to any modern practitioner of warehousing/distribution and Supply chain, I would also recommend it to academicians in the Supply Chain Area as a mandatory reading. Too often executives think they have a black and white choice – in-house or outsourced – and this book uncovers the many shades of grey in between. The benefits and risks of a plethora of operating models are meticulously dealt with, making this book a must-read for anyone outsourcing now or in the future..
Vivek brings his formidable consulting expertise to this emotionally charged topic that most organisations dabble with but very few get it right. He cuts through the myth and the hype and provides a holistic fact-based approach to outsourcing that is insightful and compelling … “must-read” for decision makers looking to navigate their way through this incredibly complex issue that has significant implications for the. This book is an outstanding guide to both professionals and beginners who want to understand supply chain issues. Mr. Sood with more than 30 years of hands-on expertise in supply chain management provides you with interesting perspectives into one of the core functions of today’s business. Especially his well-developed model of Results-focused Outsourcing and Modulations is worthwhile to read through. One of modern day paradoxes—one that challenges many of its optimistic enthusiasts—is how outsourcing having been around for so long, and been time tested, still fails. While Vivek's innovative framework mentioned in the book, Outsourcing 3.0, identifies pitfalls of traditional outsourcing and gives the secret sauce of getting it right, not just in theory, but in actual implementation. There is a general assumption that any function can be outsourced and decoupled from the organization, but Vivek in his book shows how this “complacency” brings down the odds for success drastically. His analysis and case study is not the one which is found in most of the theoretical lectures, but a real life example which brings the entire outsourcing story to life. Vivek & Mamta have developed a valuable recipe for successful outsourcing for businesses of all types independent of their sector of operations. Reading this insightful book from an entrepreneurs perspective, I came to the conclusion that the ideas discussed, questions raised and frameworks suggested (especially the Value addition strategy framework) are as useful to an evolving business as they are for an established one. Though this book takes the perspective of a Outsource, the ideas presented are equally relevant for vendors to not only build the right value proposition but also to get into right (well prepared) partnerships. After all a failed outsourced partnerships has a value draining effect for all businesses involved. Outsource or not to outsource has not been the question for most organisations in this century. The question is what to outsource and how to do it successfully. This is where this book shows the way in a simple practical manner. This process can be adapted by practitioners, who can then have confidence that most of the pitfalls will be automatically taken care of by following the principles and steps provided in this book. The individual business shall have to first assess strategically the viability of outsourcing for its business taking into account the issues in Section one and then use Section two to successfully implement it by putting appropriate processes in place. The topic is timely and the authors’ approach reflects a number of core supply chain principles that organizations should understand in order to be more nimble. As suggested, the term 'outsourcing' often has a negative connotation, primarily due to the perceptions of job loss or low wage labor. However, the practical knowledge and case studies in this book prompted me to think of outsourcing as 'best sourcing' or 'integrated value sourcing.' After all, if done well, outsourcing will create value and this book shows you how to do it. As a Chief Procurement Officer I know both – the power, as well as the danger of outsourcing. The power comes from doing it well, and the dangers lurk if you don’t do it well. The key strength of this book is outline both of these elements and outline a sound approach to make the decision as well as doing it well. Failed outsourcing attempts have claimed more management careers at all levels in the organization than any other “Career killer” I am aware of. Here is a book that can be, and should be, read by everyone from the CEO to the front line project manager. The authors very clearly detail the methodology and strategic thinking necessary to achieve success and avoid the major pitfalls that claim so many outsourcing attempts. If I were launching a project today, reading this book would be a prerequisite for each member joining the team. It is now a part of my permanent library. With this book, the authors have made a significant contribution to the business world. Everyone thinks they know how to outsource but in reading this book we realize how little we know. Most executives either have a bias for outsourcing or not outsourcing and surprisingly their teams give them the answer they want to hear. The authors provide an excellent framework for deciding whether to outsource and then planning, executing, and the on-going management of the outsourced business. I will make Outsourcing 3.0 mandatory reading for any outsourcing team I work with moving forward. Bravo! I appreciated that the authors didn't just deliver a black and white approach to problem solving, but instead offered guidelines for the grey areas which more commonly present themselves in real business situations. The way the book was written made the principles of outsourcing easy to understand with graphs, segmentation of information, and real case studies. I believe the step-by-step considerations of outsourcing will be an invaluable tool in decision making regarding this critical business aspect. I hope the book sells great and that it showcases the authors’ abilities in supply chain consulting to those who aren't already aware of them. Outsourcing is a service that has been with us for decades, though still ill understood by many. The increased complexity and the need for interoperability put a huge focus on the underlying infrastructure. A future proof capability is critical. In many cases, outsourcing is the solution to keep up with technology transitions. The authors of this book have provided a practical, no non-sense guide for organisations to make up their mind. While there are useful analytical frameworks included in the book, the pragmatic approach jumps out at you from the very first pages. Enjoy! A structured manual that introduces the basic tenets of outsourcing and its pleasures and pitfalls. It spells out frameworks for the layperson, and at the same time does justice delivering insights to what could be complex issues in the strategic sourcing universe. Vivek has utilized his practical knowledge of his early career in the shipping industry and built a successful professional services company on that platform. Coming from a similar early-career background I can appreciate the trans formative power of leveraging tactical knowledge to deliver strategic insights. A good read and recommended as a guide to sourcing and outsourcing alike. Outsourcing 3.0 is now my new go to reference text on this subject. I found the authors' style very easy to read and understand while the up-to-date examples and case studies refreshing and relevant. The book reminds us how powerful it is to learn from recent failures and successes in today's globalized context. I also found myself nodding in acknowledgement of similar lessons learnt and pitfalls from my experience as well as the new insights gained. The book offers a lucid understanding of outsourcing which is complemented with various examples and case study which the authors have drawn from their rich experience in this area. They have also involved readers with their interesting catch phrases and innovative idea to tackle the challenges that arise in “outsourcing”. The book is premised on a great understanding of globalization and global forces and clears many myths about globalization in general and outsourcing in particular. The simple guidelines provided in the book serve as both the anchor and point of departure for making crucial decisions on outsourcing. Every page of the book engrossed me. Brilliant work and recommended to all who want to read on outsourcing! I am greatly impressed by the knowledge and ability of the authors to pen down practical knowledge in theory form. This book is not about merely laying down principles and invigorating a thought process, it enables one to unravel practical fact-based solutions in the sphere of outsourcing amidst complex management conflicts. I would with no hesitation recommend this book for reading by one and all in the corporate world.